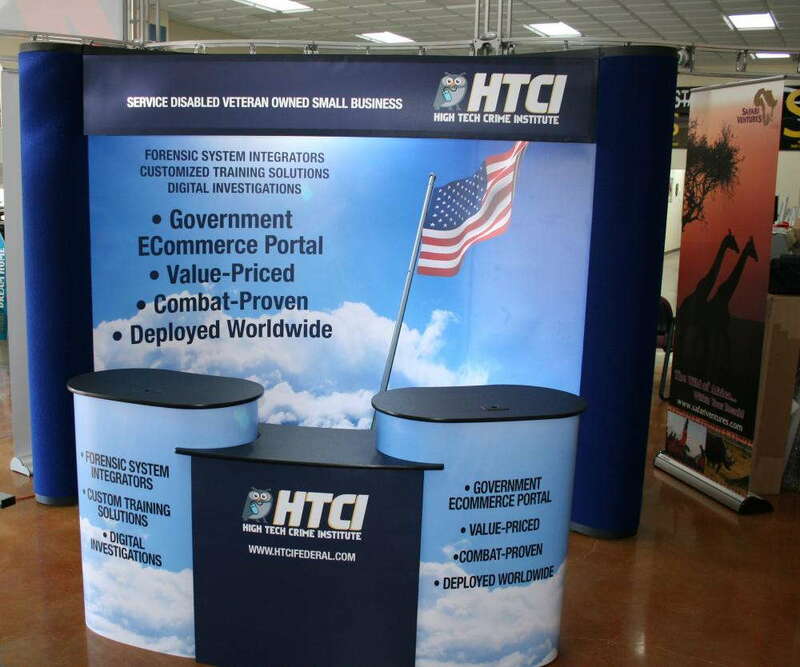 As you travel the long highways of the Midwest promoting your company’s products and services, you’ll need a reliable, professional and portable trade show display to make the best possible impression on potential customers, partners and employees! SpeedPro Imaging Lenexa has provided services to Johnson County, KS, Jackson County, MO, and Cass County, MO, that have created countless satisfied customers. As a part of the nation’s biggest large format graphics provider, we combine our expertise with cutting-edge printing technology and other industry-leading resources to produce results that have satisfied customers time and time again. Festivals, trade shows and expos all require different graphics and accessories, and our staff will analyze your needs and formulate the best way to accomplish your goals. We have extensive experience in the industry, so no request should be too large for us to handle. We’ll go through our sizable catalog of products to determine the right solution for you. You’ll have several options for trade show display booths, but every one will share a vividness that draws customers in. Banner stands: Retractable banners come in a range of sizes, styles and models, which makes them perfect candidates for the rigors of the road. The banners themselves can be single- or double-sided in order to catch as many eyes as possible. The stands come in retractable, telescopic and spring-back styles. The three models include economy, standard and premium. With the varying degrees of internal mechanism strength and metal gauge, we’ll produce an ideal product. Point of purchase (POP) displays: Our POP displays are versatile, impactful tools for promoting your goods and services. We offer a huge degree of components, which include fabric walls, attachable shelving, monitor stands, kiosks and more to serve an array of purposes. These kits will display your logo and messages in a natural way while allowing people to interact with your display. 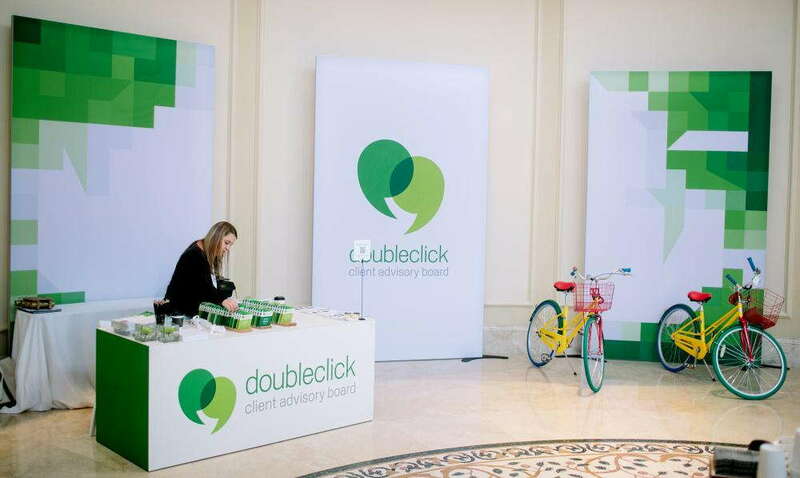 Pop up displays: If you want to draw attention quickly without losing out on convenience, try out these displays. They’ll give you eye-popping graphics mounted on printed fabric, and you can decide on numerous qualities, like size, straight or contour frames, LED lighting and other factors. You’ll find that these solutions are lightweight, portable, assembled without tools and accompanied with a molded, hard case for transport if you choose. Backlit graphics: Just plug your LED lamps in and create a spotlight for your designs that will draw customers’ eyes from near and far. A backlit display will give you a totally new, exciting look that lends a sense of urgency to your offers. Tents: Tents are must-have branding elements for outdoor events like concerts, festivals and fairs. Not only can they serve as methods of identification for event attendees, but they also supply protection from weather conditions. Our tents come in three styles: tubular, inflatable and popup. Their sizes are wide-ranging. Other options are also available, which means our list doesn’t end there. With all of your new products, we’ll use expert color-matching practices to synchronize their appearances. 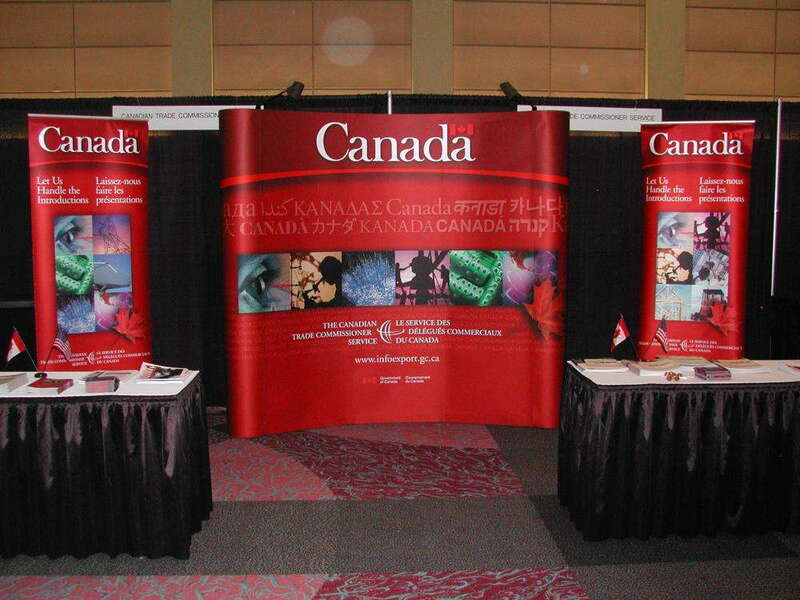 In the end, your pop up trade show display will emit an aura of harmony. 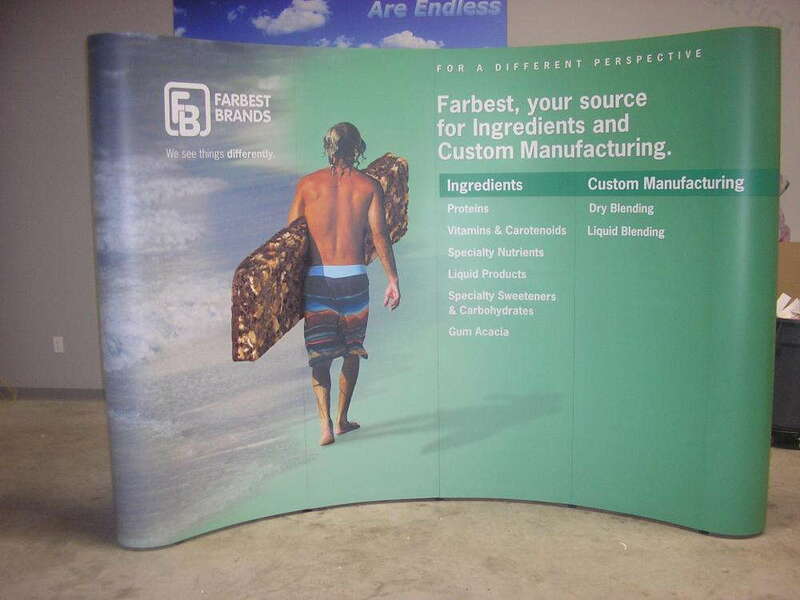 Schedule a consultation today, and we’ll get started with designing your new pop up trade show display! You can also visit our studio in person. We’re located on Strang Line Road, just off of College Boulevard, near Interstate 35 in Lenexa.